Why Mahogany Forest is special ? 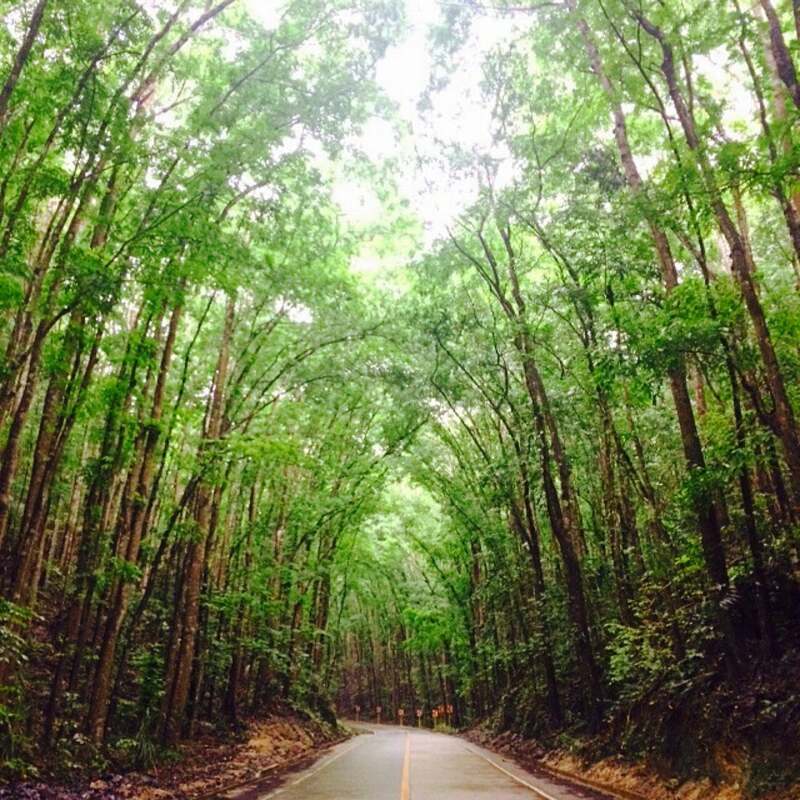 Mahogany Forest, or the man-made forest in Loboc is a 2-kilometer stretch of mahogany trees that carpet the sloping ground where the municipality of Loboc meets Bilar. 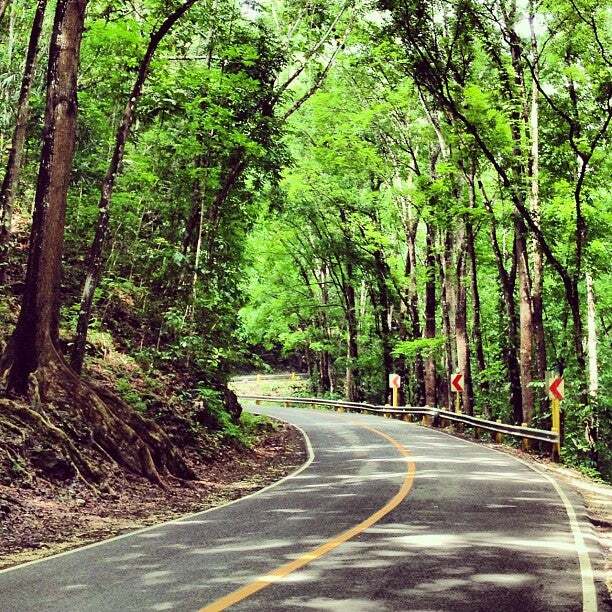 Before and after this man-made forest are the naturally grown forests of Loboc and Bilar which are thick with a kaleidoscope of green foliage, different species of trees and giant ferns lining the road. What to explore at Mahogany Forest? 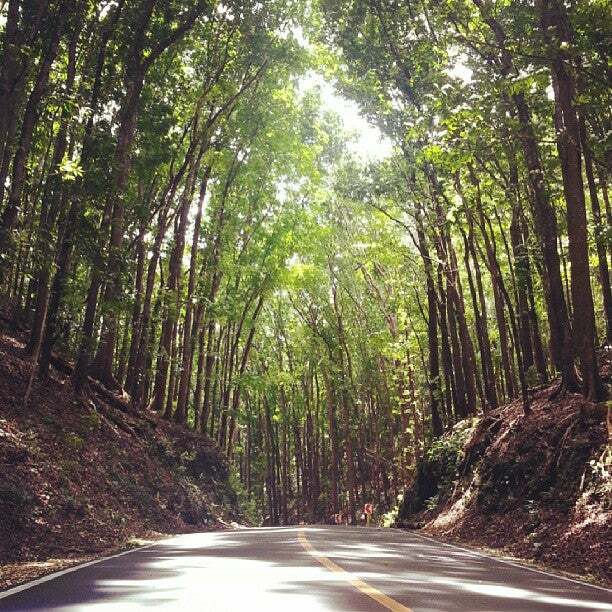 As you leave Loboc town up the winding hilly road going to Chocolate Hills, you will notice immediately that you are now inside the forest because your view of the road and surroundings darken and you feel chilly, especially during summer months. When you enter the forest, one will feel the abrupt change in temperature, especially during summer or hot season. It is hot outside the forested area, but once under the overhanging trees, one is refreshed by the cool breeze. This mountain area seldom sees the sun shine and most often than not, it rains here. Local folks attribute these to the presence of the dense forest. How to get to Mahogany Forest? From Tagbilaran, you can join a group tour offered by various tour operators and hotels. You may also rent a van or motorcycle to get here. Taking public transportation is okay but getting out can be a problem since the bus won’t really wait for you. You will have to wait for the next bus to move to your next stop, which is more stressful and time-consuming. You might be so focused on taking pictures that you might forget that it’s still part of the highway. Vehicles passing through the forest can be very speedy. There's no picnic areas available, so just breath in the fresh air, and continue on your journey. You can just drive-by the site if you're visiting from the chocolate hills! You can ask the driver to stop if you want to take photos as well. You can even grab a few souvenirs from vendors here. There is no designated parking space here. Like other reviews have said, this is more of a stopover kind of attraction... literally - since it is on the road and you just pull over to see it. You can appreciate the effort that went into this man-made forest, and it is a good stop for taking pictures and stretching your legs. You can also grab a few souvenirs from vendors here.